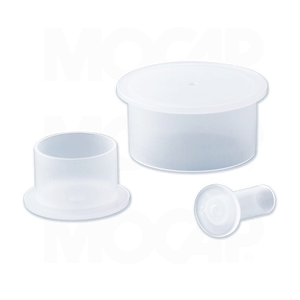 MOCAP FCS Series flanged polyethylene plastic caps are designed to protect standard straight threads. The natural colour of the flanged plastic caps allows visual verification of the threads or o-ring. Flanged caps for standard straight threads are easy to assemble or remove by hand or automated equipment. Additional series available to fit Standard Straight Threads and BSP and NPT Threads.